Jarle Bernhoft, singer, multi-instrumentalist, composer and lyricist… If you’ve not heard of him before – I think you’re in for a treat, this Norwegian music man is a Stone Cold Sensation. I first saw him during his BBC Breakfast TV appearance last Wednesday. He was looking a bit cheesed off on the sofa, partly because of the over-friendly warmth of the Beeb – but mostly because he got there on less than 4 hours kip. We have a word for it in Norwegian, he says, it translates like ’cuddle tyranny‘. Although I have to say the BBC is by no means the worst. Plus I’m feeling jetlagged, I flew in a week and half ago. I’ve been touring since - it just happens – you have to maintain a rhythm, day and night. 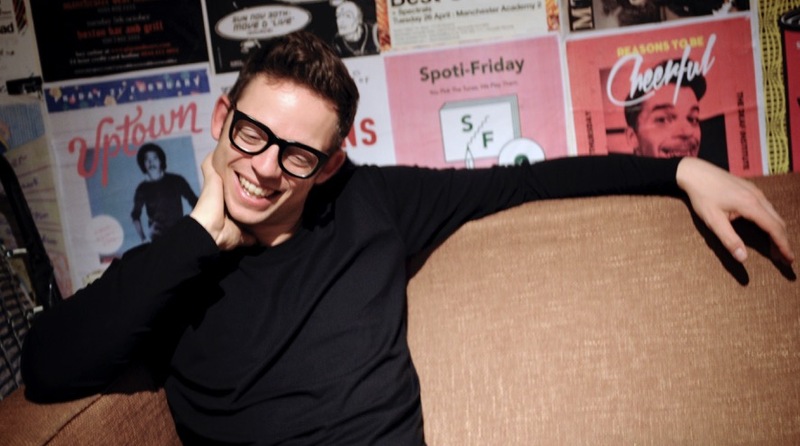 It’s easy to think that like most concert/venue performers, Bernhoft probably doesn’t DO mornings, but he’s no night owl, not anymore anyway, not since the arrival of a young ray of sunshine called Samuel, early mornings are most certainly back on the agenda. I have a 4 ½ year old son and he won’t let me sleep in and he doesn’t stop at wanting me up at 6am - he gets me up. His name’s Samuel. I don’t feel like I need to go somewhere else to get inspired. I find America very interesting, New York is a very interesting part of the USA. It’s so very different, it has lots of different pieces of everything. Born in Nittedal, Norway in the 1970’s - Jarle is currently based in New York City and on a personal development crusade. Barr the odd bout of home sickness he tells me he’s happy and in a good place emotionally but not particularly inspired by life in the Big Apple. Moving to New York was for personal development more than anything else. I moved there about a year ago, it was on Election Day in Norway, I cast my ballot and flew away. He went on to justify his European exodus but promises to return home one day. I almost wanted to see Norway and Europe from a distance. I like writing about the sense of belonging and how the place you are in influences the person you are. So (moving to NYC) it was a good thing for me, at first it was supposed to be for 1 year, now it’s going to be 2. Now on his third album, Jarle is amassing an impressive back catalogue, his best known songs are "Streetlights", "Shout" (a Tears for Fears cover), "Choices", "C'mon Talk" and "Stay With Me". In June 2014 he appeared for the first time at the Glastonbury Festival and was featured by BBC One in a special performance of his song "Wind You Up." Artistically - things are going pretty well for the Scandinavian all-rounder. I see the 3 albums as a thesis, antithesis and synthesis. Which I’m very happy about this. It feels academic and cool. You’re described as a multi-instrumentalist, which implies a level of academia - Are you academic and cool? It’s the same for me with instruments, I breeze through the opening stages and when it gets too difficult and complex – I tend to fade away. That’s true. I saw an interview with Dave Grohl and he played his guitar like he was playing the drums, the bottom E string that’s the bass drum and the snare and the symbols came from the high strings. And that way of thinking probably I do with my instruments and even with the vocals. An artist with 20 years’ experience - Bernhoft builds his songs by recording different layers of sequenced loops that he plays on the fly, he will bang out the beat on the inside of his guitar and use foot pedals to capture the loops start and end points, he’s great to watch, his vocals range is impressive and his songs are catchy. 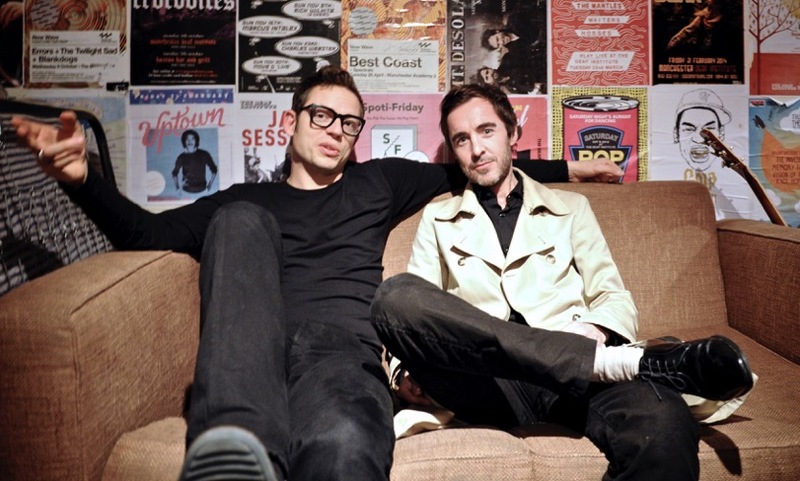 Bernhoft is no stranger to Manchester, having played here with his band SPAN - although he’s not played a solo gig in the city. I’ve played Academy 3 a couple of times with a band, but that was many years ago - we split about a decade ago. I do miss the camaraderie sometimes you know - when things go sour you can blame someone else. Equally when things go good. Reading your bio I see Stevie Wonder gets a mention, an inspiration no doubt but could that be a serious collaboration for you? And who would you work with? I did record a track with Jill Scott, I thought that was really cool. Colabs can sometimes be something that don’t feel musically founded. They can feel like something you need to do, network building more than anything else. I do have a dream collaboration, Lewis Taylor, he’s a British soul guy, but he’s dropped off the radar, I think he sued his own fan club or something like that - I’ve heard rumour he’s working as a plumber in Sheffield. That is just a loose rumour though, it could be a look-alike… Last I heard he was working as a musical director for Niles Barkley, I guess he just doesn’t want to be an artist anymore. 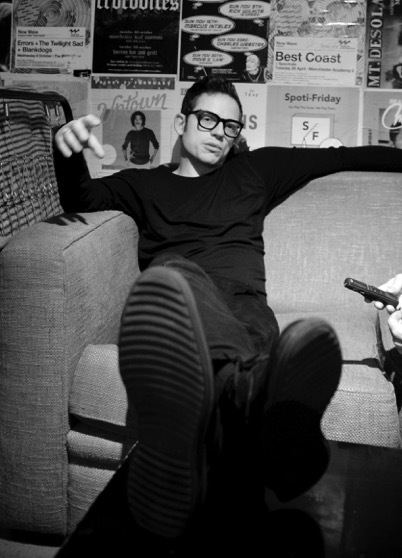 Bernhoft appeared recently on The Ellen DeGeneres Show after producers of the show found his video on YouTube. While on the show he played his song "C'mon Talk". In July 2013, and again in June 2014, he was featured as a musical guest on "Conan" on TBS. And with that, we vacate the venue leaving Bernhoft to prepare for the next step in his personal development programme - a packed house at the Deafness Institute.